I'm very excited to have had this little monkey shortlisted and selected for the DSWF Wildlife Artist of the Year 2015 exhibition at the Mall Galleries, London, between 29th June - 4th July 2015. 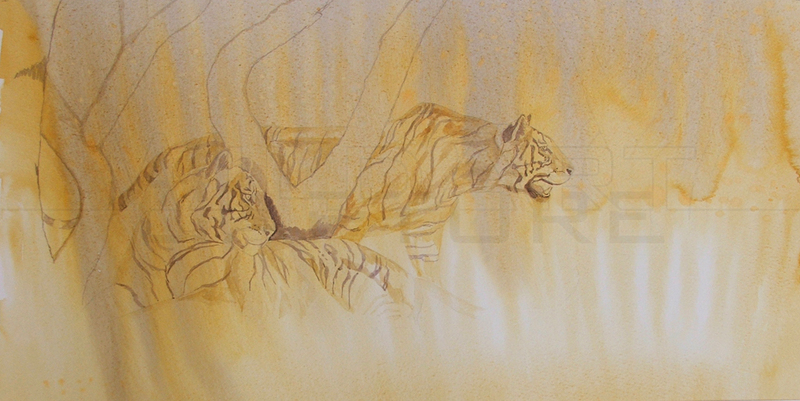 Tigers have been declining rapidly over the last 100 years, with 97% of wild tigers being lost in the last 100 years. At present, as few as 3,200 tigers remain in the wild! 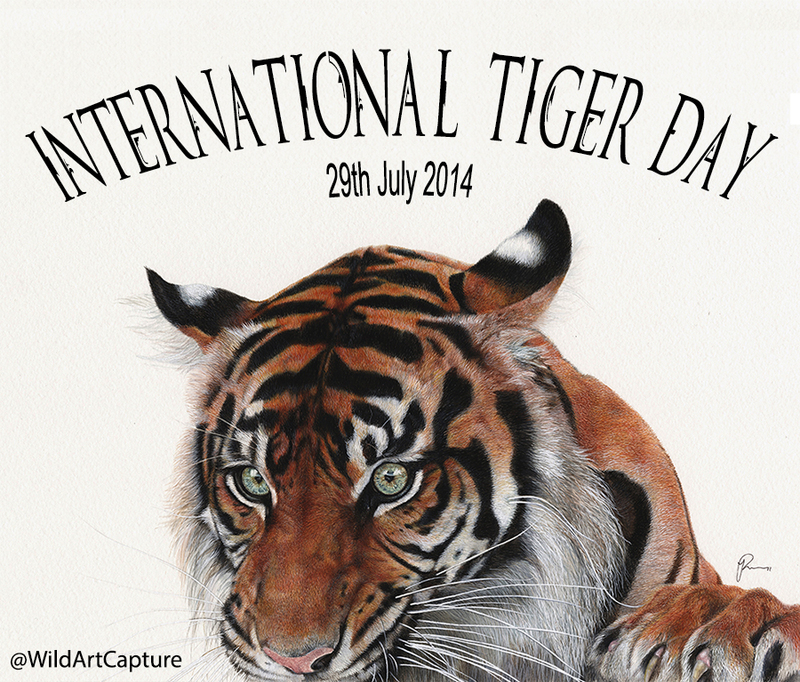 Protect tigers now! 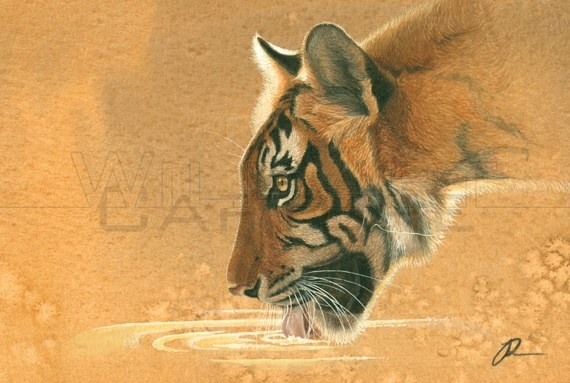 This is an older painting of a Sumatran tiger, please support Tigers in the wild, so that future generations can love and admire their magnificence and natural beauty, and see that we did all we could to protect and save the species!!! 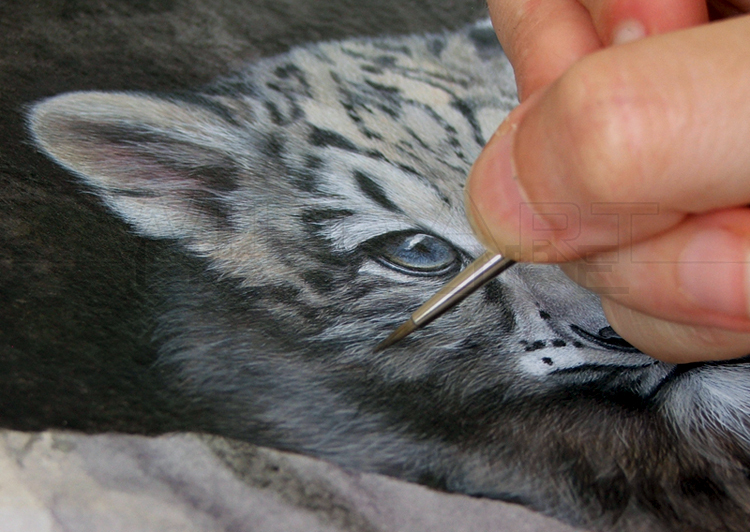 I was going through my portfolio and remembered this mountain lion painting I started 2 years ago! My heart was never completely in it at the time, but I had a sudden urge to complete him. 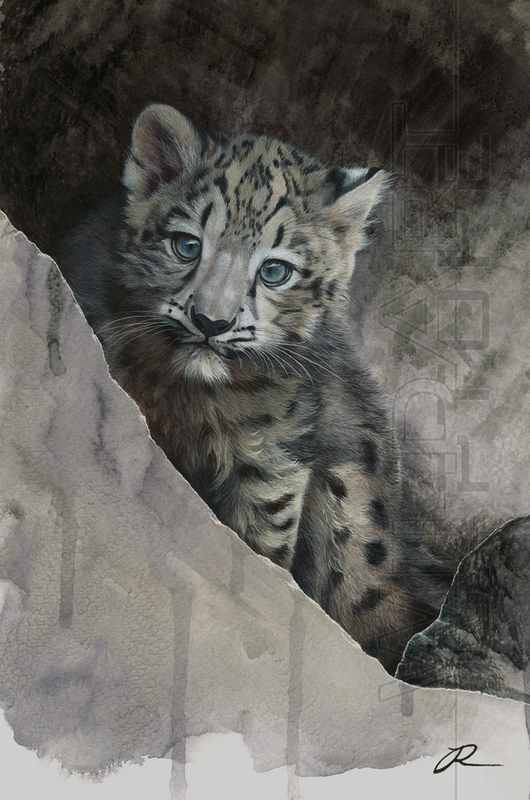 I decided to crop the initial painting to just the eyes, drawing attention to the power and poise of the mountain cat. I hope you like the new outcome, I am much happier with this crop and think it captures strength and uncertainty. This mountain lion may have his eyes fixed on his next hunt, but who is hunting who? Habitat destruction, roadkill, poaching, poisoning and primarily trophy hunters are killing more mountain lions today than at any other time in our nation's history. Wildlife biologists know mountain lions are vital and invaluable. 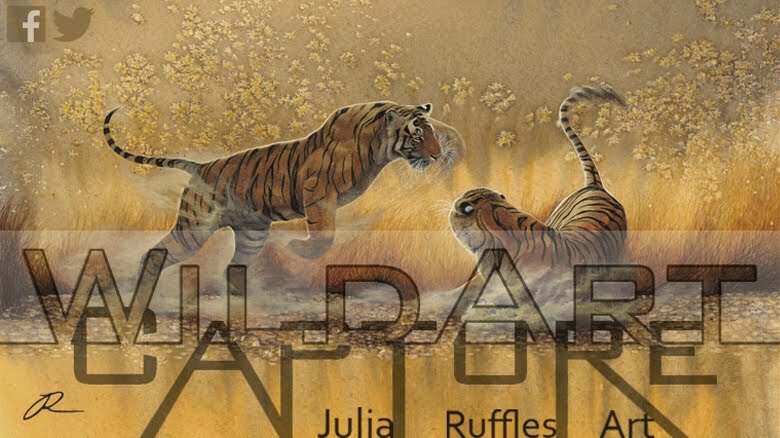 They are a keystone species playing an irreplaceable and complex role on the landscape, existing in low densities and are self-regulating which means they control their own population size in balance with the ecosystem without the need for human intervention. Why would one kill something so magnificent and call it a trophy?